Every apartment needs renovation from time to time, as some home systems such as wiring or plumbing may fall out. When developing the future design of a piping system, the engineer should take into account many aspects. Replacing the worn plumbing begins with the choice of materials and sizes of pipes for the new system. Each proposal has its own pros and cons that should be considered before purchasing. It is also relevant to draw attention to temperature changes that might effect pipes, such as freezing or thermal expansion. Let’s take a closer look at possible pipes materials. Recently, steel pipes were the most common, and now they can still be purchased. The most important advantage of steel is that it is eco-friendly and the fact that they have passed the test of time and pipes of good quality can function for more than 50 years. Remaining pros: high operating pressure and temperature, as well as small thermal expansion. The negative sides of steel pipes include their big weight; inner diameter gradually decreases due to corrosion and the complexity of the system assembling and altering. It is also worth noting that even a temporary lack of water in the pipes causes their rapid rusting which gives water a metallic taste. Plastic (Polypropylene) pipes are a good alternative to the steel and are characterized by ease of installation, low weight and price, durability and a complete absence of corrosion. 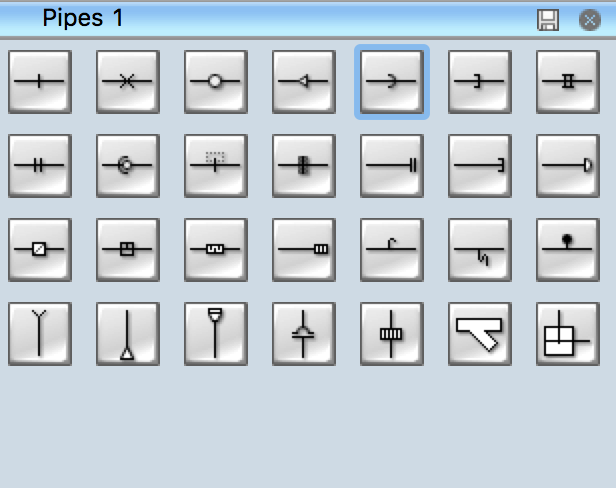 Currently, it is the most used option. 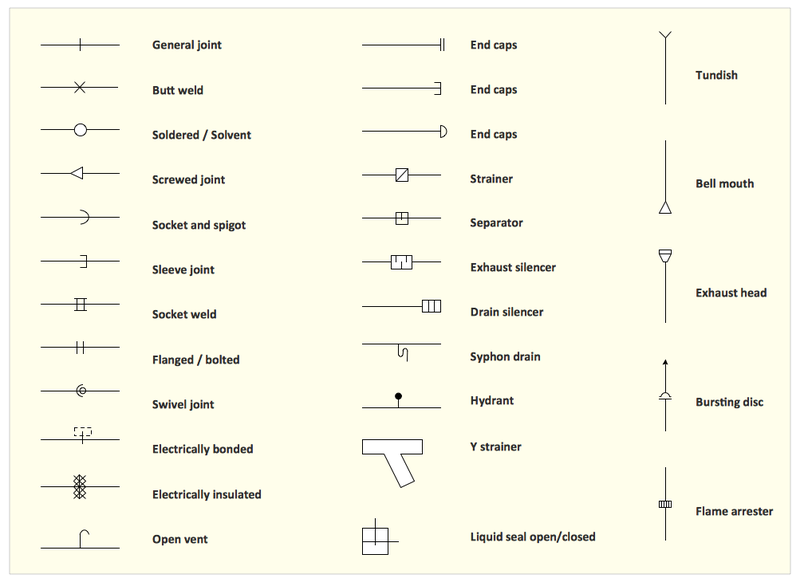 When connecting to the existing metal communications one should use fittings like unions or elbows. Due to thermal expansion, it is recommended to use a double-walled pipe system, which allows creating an interstitial space between the diameters of the two pipes. Another option is PEX-AL-PEX pipes, which consist of three layers: the outer layer of high density polyethylene, a middle layer of aluminum foil and the inner layer of polyethylene. Vector stencils libraries Piping 1, Piping 2 and Valves contain shapes of pipes and valves for drawing plumbing and piping building interior design plans, schematic diagrams, blueprints, or technical drawings of waste water disposal systems, hot and cold water supply systems using ConceptDraw DIAGRAM diagramming and vector drawing software. 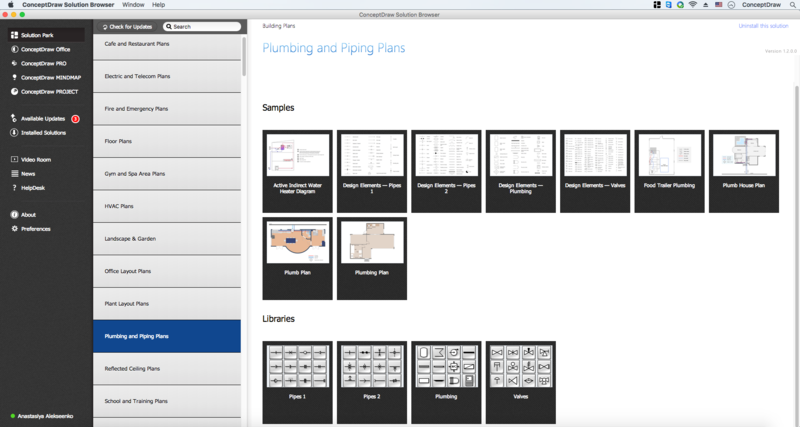 These libraries are included in Plumbing and Piping Plans solution from Building Plans area of ConceptDraw Solution Park. 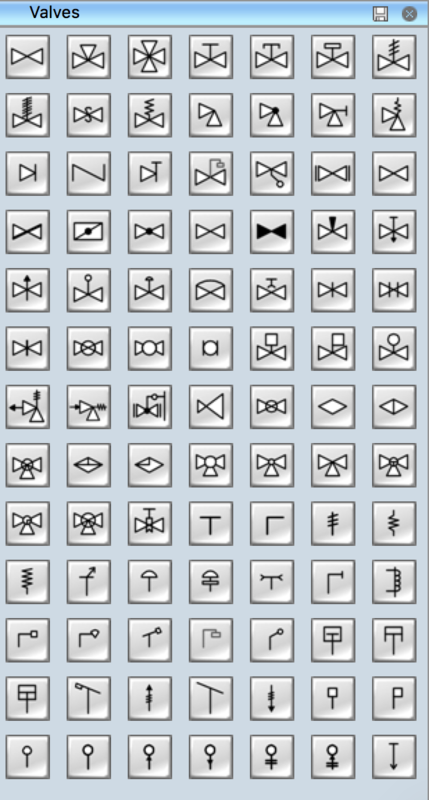 The Pipes 2 library contains 42 symbols. 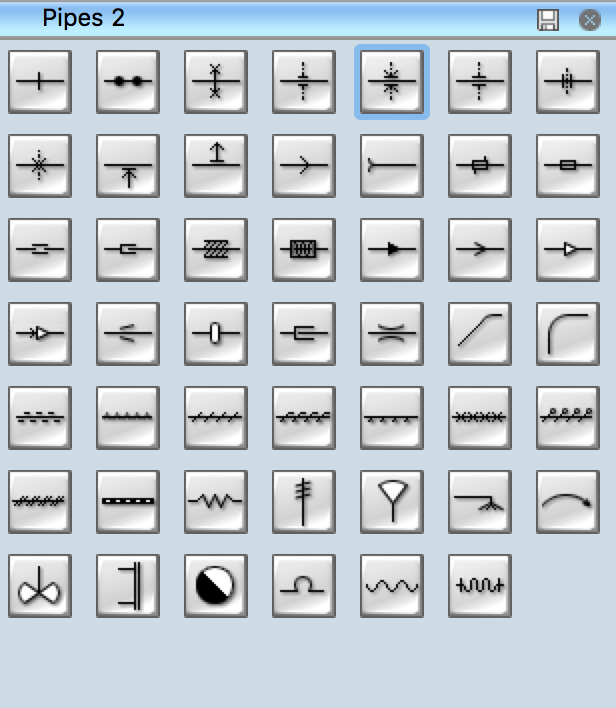 The Valves library contains 37 symbols. Use ConceptDraw DIAGRAM diagramming and vector drawing software enhanced with Building Plans solution to draw your own plumbing & piping plans, annotated diagrams or schematics of waste water disposal systems, hot and cold water supply systems, water lines, plumbing systems and waste water engineering using plumbing floor plan, plumbing layout plan, half pipe plans, pipe bender plans and plumbing plan symbols.